Sea Pines is a 5,000-acre community that encompasses private neighborhoods as well as a resort, forest preserve with horse stables, PGA Tour golf course, marina and town center with shopping and dining options. It’s the most popular estate on the island and just $6 will get you into Sea Pines so you can explore all the fun activities. 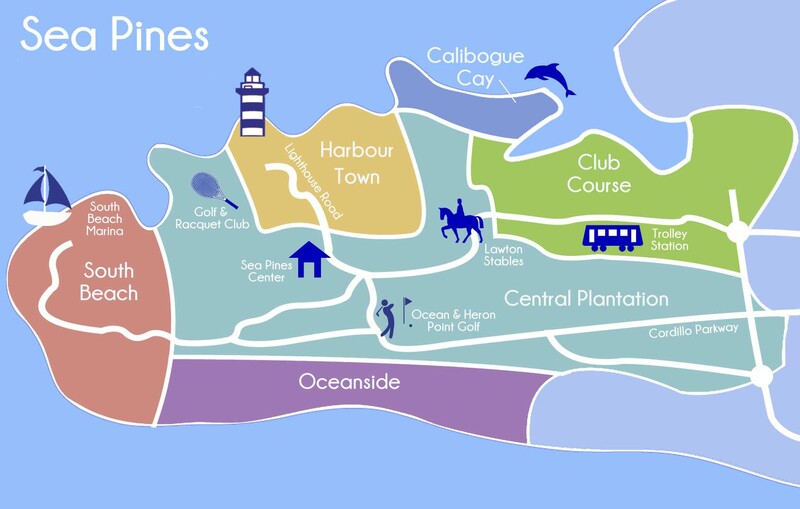 Harbour Town is the social hub of Sea Pines, with an array of things to do from water activities to fine dining. 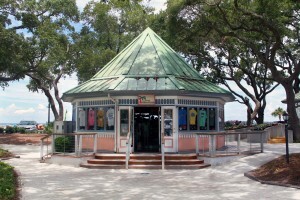 Over 20 gift shops and stores surround the yacht basin, which is filled with beautiful boats all year round. Cruises and boat tours head off into the waters from this location, as well as kayaks and parasailing trips. The famous red and white striped lighthouse is located here, so guests can get a view of the Calibogue Sound and Atlantic Ocean. South Beach, like Harbour Town, is centered around the water, with an assortment of shopping boutiques and restaurants around it. If you head out on the docks, you’ll find all kinds of water activities, from boat and Jet Ski rentals to fishing charters and tours. 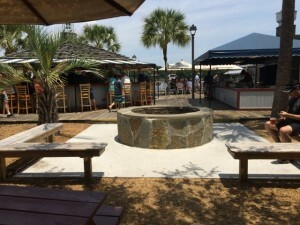 One of the reason visitors love South Beach so much is because it is home to the Salty Dog Cafe, so be sure to check it out while you’re on the island! Set right in the heart of Sea Pines is Lawton Stables, a full service equestrian center offering horseback and pony rides through the beautiful Sea Pines preserve. 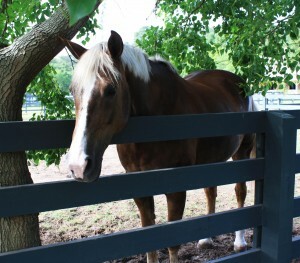 But that’s not it, they also have a petting zoo so kids of all ages can see some animals, in addition to their International Riding Academy and therapeutic riding. 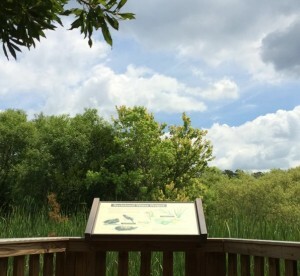 Along with other amenities and attractions, Sea Pines has its very own forest preserve encompassing 605 acres of wetlands, ponds, lakes, and forests. There are all kinds of bird and wildlife that roam this plot of natural land, many of which you can get a glimpse of while traveling the through the trails or touring.